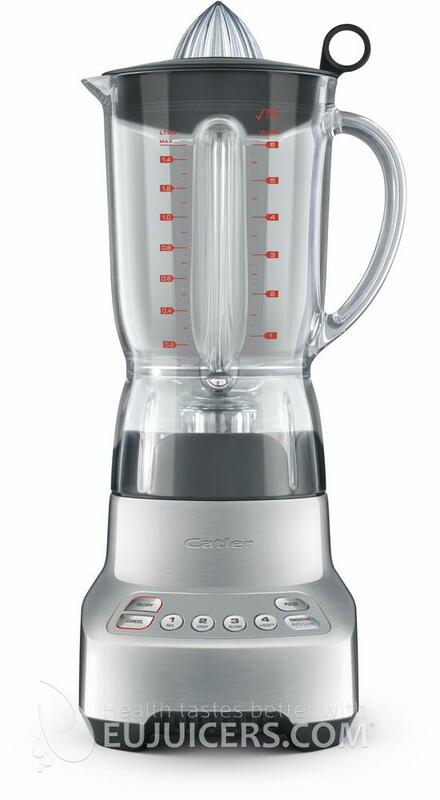 The Catler BL 4010 electronic blender is suitable for chopping, mixing, food preparation, ice crushing and more. The 1.4l BPA-free Eastman TritanTM jug is highly resistant to scratching, cracking and breakage. It has 10 times the dishwasher durability (in the upper basket) than other polycarbonate jugs. This material is very tough and used to make houseware products that can stand up to extreme use and repeated dishwasher cleaning. Products made from Tritan™ are impact resistant and shatter resistant and stay clear and durable even after hundreds of cycles in the dishwasher. In addition, Tritan is certified BPA and BPS free. The Mini KinetixTM blade system causes food to rotate around the jug upwards and then be pulled down directly onto the blade system. This makes for silky-textured smoothies and finely crushed ice. 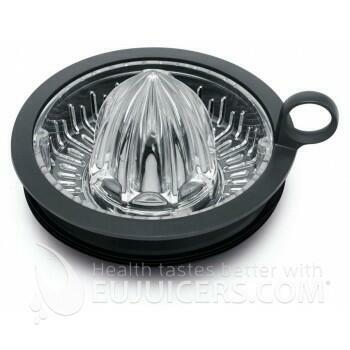 The citrus juice extractor attaches to the top of the jar, letting you juice directly into the jar. It also acts as a handy stand-alone citrus juicer for the countertop. 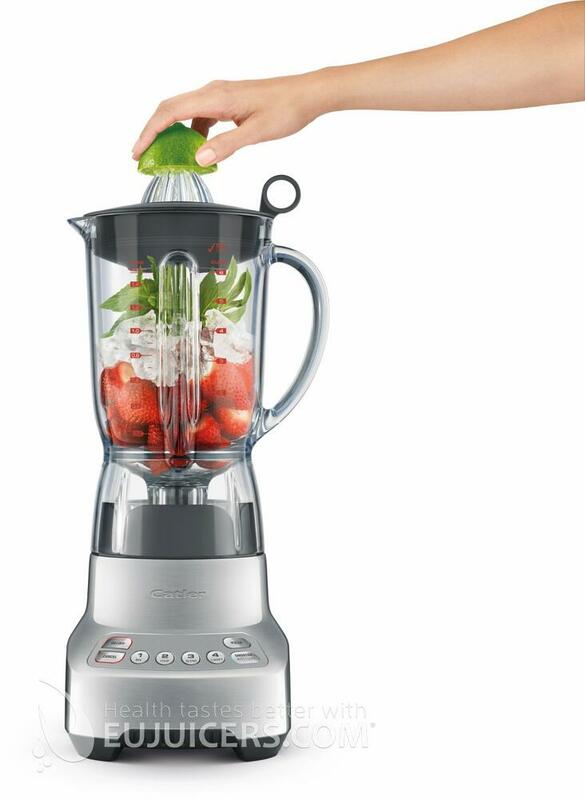 Blender for chopping, mixing, food preparation and ice crushing, etc.